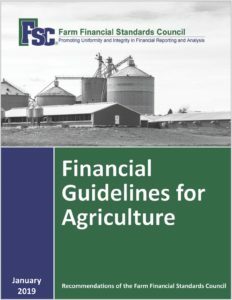 An updated version of the Financial Guidelines for Agriculture has been released by the Farm Financial Standards Council. With a January 2019 issue date, this 272-page edition replaces other versions of the document that have been in circulation since 1991. The most recent prior update was done in 2017. Order the new version here. He says the most noticeable changes is a new case farm in Appendix A. This one is based on a Kansas farm business. “It is our goal to take accounting principles and apply them to realistic farm production scenarios. It is especially helpful when users of the Guidelines can identify with the examples that are in the case farms in the document,” Doehring explains. 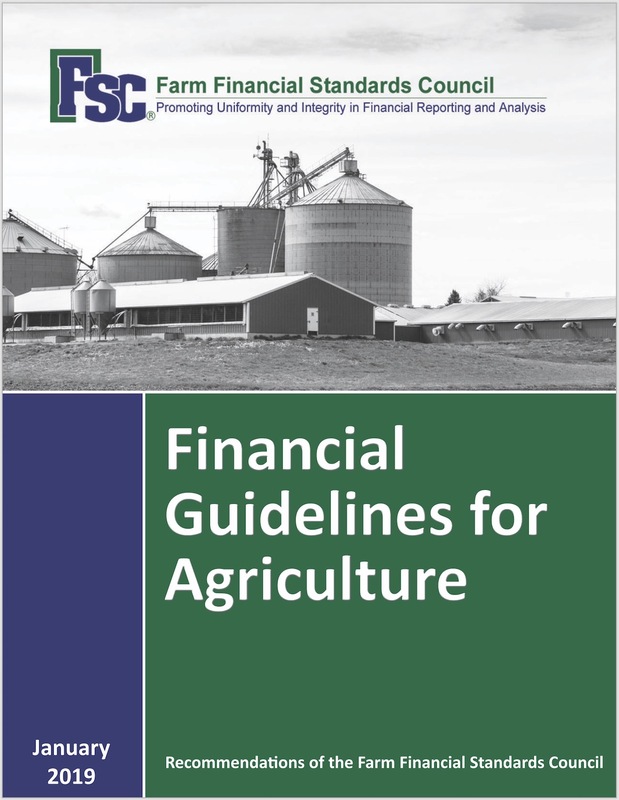 The purpose of the Guidelines is to help produce standardized financial statements of farm and ranch operations. It is available as a downloadable PDF here. The cost is $30 each for the Financial Guidelines for Agriculture as well as the Management Accounting Guidelines. Another document, An Implementation Guide, is available as a download at no charge. This is designed for those individuals without an accounting degree to better understand how to make the maximum use of the information in the Guidelines. The Council evolved from the financial crisis of the 1980s and is an all-volunteer organization of farmers and ranchers, accountants, finance and tax professionals, academics, lenders, consultants, and organizations which produce agricultural finance software. Membership on the Council is open to anyone who has an interest in managing agricultural finances. There are currently over 150 members from all across the U.S. It's easier than ever to join the Farm Financial Standards Council. Click the link above for more details and register for membership online with just a few clicks. Your support helps make possible FFSC's continuing leadership and direction to American farmers and ranchers who seek uniformity and integrity in financial reporting an analysis. Our council is dedicated to helping farmers by promoting uniform financial reporting and analysis in the ag industry. We want to be the definitive resource for financial guidelines to benefit farmers. Look around and come back, because we'll be adding material all the time.